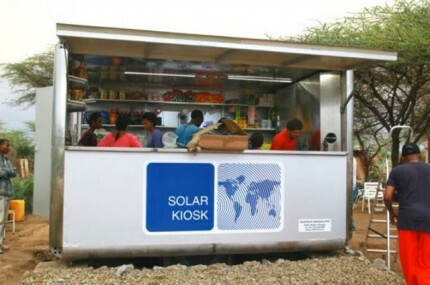 The world’s first solar powered kiosk is helping developing nations to develop renewable energy while growing sustainable small business. 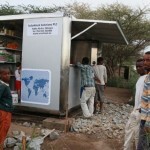 This solar powered kiosk, designed by GRAFT Architects of Germany, opened in Lake Langano, Ethiopia. 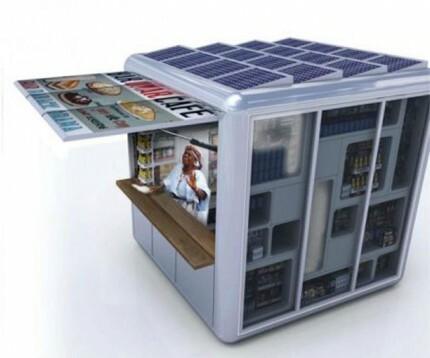 The small store provides local residents access to goods and offers power for battery charging. 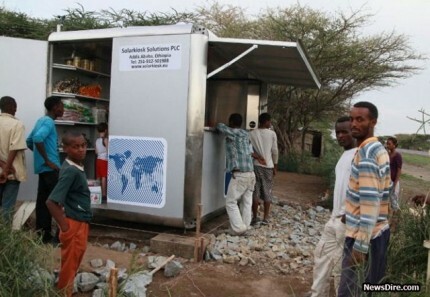 The kiosk has photovoltaic panels on its roof and is lightweight. 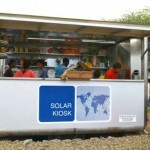 By producing its own energy, the kiosk avoids the traditional grid system, saving money and resources. 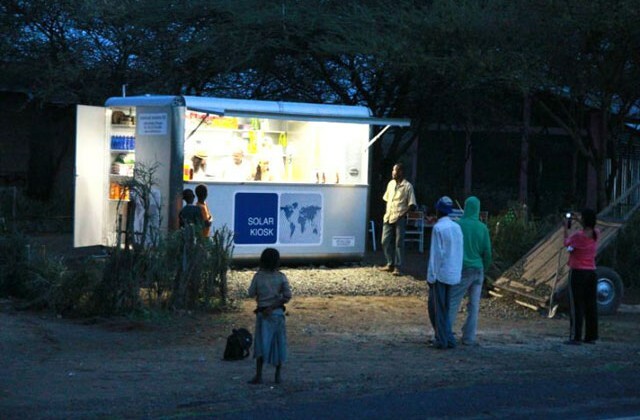 Additionally, the kiosk turns on its lights at night, thus producing a safe area for others to utilize. The kiosk is one type of business unit, designed by GRAFT Architects. The unit can be customized to a variety of needs. The designers can address different environments, power needs and can group units together to create larger space. 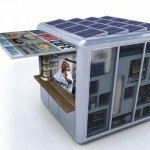 The solar panels will be created separately, but the units can be made on-site. It is possible for the unit to use local materials such as, bamboo, wood, adobe, stone, metal or recycled material. They can also be easily flat-packed, shipped and easily assembled. The designers offer training for how to run the units and how to successfully run a small business. Hi everyone,Aurors design solar kiosk lighting ,solar bus shelter lighting,solar emergency lighting,solar ten lights . We only produce easy to install,easy to keep ,easy to control and take along products.